The discovery of plant pollen in a Neanderthal burial site in northern Iraq gave even the most serious archaeologists something to smile about. As they systematically identified the pollen’s parent plants (mallows, grape hyacinth, ephedra, yarrow, groundsel and knapweed), they realised that they’d gained valuable insight into the practice of herbal medicine some 60,000 years ago. Formal records came a little later. Discovered in Sumer (now southern Iraq), the most ancient written record of herbal medicine was etched onto clay tablets some 3000 to 5000 years ago. Cuneiform script carefully records the names of 250 plants along with 12 recipes for remedies (one even uses an aloe leaf as a laxative). Herbal medicine was also practised in Ancient Egypt. Found in the Valley of the Tombs near Luxor, in 1874, the Ebers Papyrus (dating from 1500BC) lists 876 remedies derived from over 500 plants, including garlic, juniper, cannabis, castor bean, aloe and mandrake. By 500BC, Egyptian medicine had become so respected that the rulers of Rome and Babylon invited Egyptian healers to their courts, while aspiring healers from Greece and Rome went to Egypt to study. Egyptian herbal healing would certainly have been familiar to the Greek physician Hippocrates (450-380BC). He described 236 healing herbs, gave precise instructions for herb collecting, and categorised all foods and herbs by four basic qualities: hot (including sweet grapes, mustard and watercress); cold (including sour wine, vinegar and flax seed); damp (including hemp); and dry (including sage). He also theorised that disease was caused by an imbalance of the four humours – the body fluids of phlegm, blood, yellow bile and black bile – and their influence on the body and emotions. Good health was achieved by keeping the system in balance and by getting plenty of fresh air and exercise. Medical knowledge kept moving west and by about 100BC, Greek medical theories had reached Rome. A couple of hundred years later, in around AD70, Roman army physician Pedanius Dioscorides, a Turkish-born Greek, described 600 medicinal plants in his five-volume De Materia Medica. He specified when blossoms, leaves, stems and roots should be collected as well as when herbal remedies such as plant juices should be prepared. 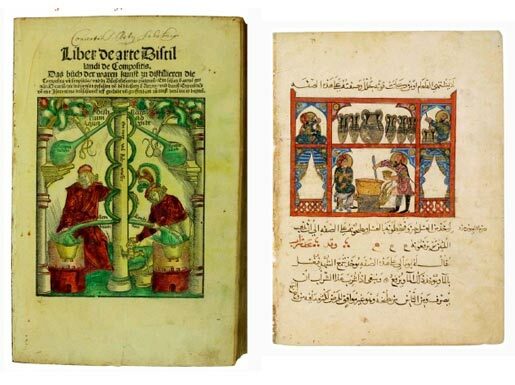 Dioscorides’ work retained enormous influence for more than 1500 years and was one of the first books printed after the invention of the printing press. At much the same time, Roman author, naturalist and philosopher Pliny the Elder wrote a comprehensive guide to nature which included an extensive catalogue of herbs valuable as medicine. His work would have been an invaluable reference for Greek physician and philosopher Galen (AD130-200), the court physician to Roman Emperor Marcus Aurelius, when he developed the first classification system that paired many common illnesses with their herbal remedy, reworked many of Hippocrates’ theories and formalised the principle of humours. Galen’s writings soon became the standard for physicians, just as the writings of Dioscorides became the standard texts for pharmacists. When Rome fell in the 5th century, the centre of classical learning moved east to Persia and Constantinople, where Galenic medicine was enthusiastically adopted and merged with both folk medicine and Egyptian traditions. This mixture of practices, interwoven with ideas of alchemy, was then re-imported back into Europe by traders and invading armies. 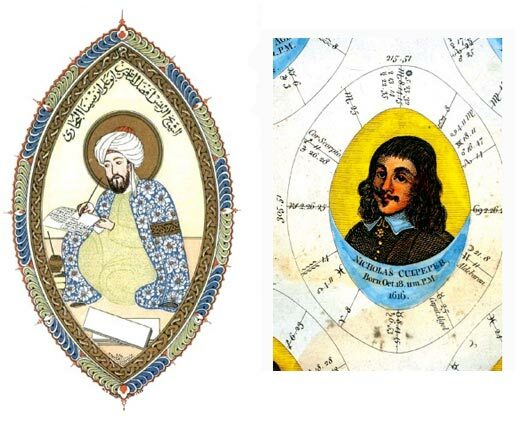 The most famous Arab physician, Ibn Sina, or Avicenna’s (AD980-1037), influential Kitah al-Qanun (Canon of Medicine), was firmly based on Galen’s principles. By the 12th century, this canon had been translated into Latin and brought back to Europe, where it became one of the leading textbooks in the early medical schools. Widespread acceptance In the Middle Ages, herbal medicine had been embraced at every level of society. The Emperor Charlemagne (AD742-814) wrote Capitulare de Villis, a work which detailed 70 herbs he wished to be planted not only by his own gardeners, but also in every monastery and by all his subjects “for the benefit of the nation”. At the St Gallen monastery in Switzerland, 16 beds of medicinal plants were prepared according to Charlemagne’s instructions. Herbs included summer savory, mint, sweet clover, rosemary, lilies, roses, fennel, caraway and sage. The Leechbook of Bald, which dates from the early 10th century, includes remedies sent by the Patriarch of Jerusalem to King Alfred the Great. Herbs such as wood betony, vervain, mugwort, plantain and yarrow were recommended for internal consumption but also as components of amulets that would ward off the “evil eye”. By the 13th century, attention had moved to Wales where a family of herbal physicians in Myddfaiin Carmarthenshire became famed for their collection of medical remedies. During the early Middle Ages, Benedictine monasteries were the primary source of medical knowledge in Europe and England. Not only did monks copy and translate many of the works of Hippocrates, Galen and Dioscorides, but the monasteries had gardens in which they grew useful medical herbs which they would use when tending the sick. Countryside and village folk often consulted wandering herbalists or local “wise women” who would prescribe medical remedies along with spells, enchantments, divination and advice. After the invention of the Gutenberg printing press in 1440, writings about medicinal herbs became ever more commonplace. Profusely illustrated publications such as John Gerard’s The Herball or General History of Plants (1597) became very popular. It had more appeal than many as it was in English, meaning that no knowledge of ancient languages was required. In the mid-17th century, John Parkinson’s groundbreaking works Paradisi in Sole Paradisus Terrestris and Theatrum Botanicum describe more than 3000 plants. 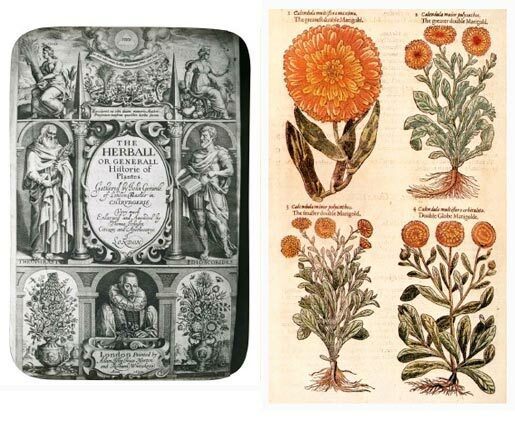 These books were remarkable because not only did they cover history, horticulture, botany and pharmacology, they show that he was also the first writer to make a serious attempt at botanical classification, dividing plants into families and classes. Always outspoken, Nicholas angered his fellow physicians by condemning their greed, their unwillingness to stray from Galen and their use both of toxic remedies and of practices such as blood-letting. Unsurprisingly, he also upset the Society of Apothecaries when he prescribed cheap herbal remedies rather than their expensive concoctions! However, the public loved him, and his books The English Physician (1652) and The Complete Herbal (1653) were both popular. In the 17th century, men such as Francis Bacon and William Harvey began to transform science from a speculative to an experimental process. Physicians of the day increasingly found Harvey’s concepts of circulation of the blood more useful than Culpeper’s movements of the planets – and so biological and medical science started to move away from traditional herbalism. By the 19th century, there was an ever-increasing understanding of the specific actions drugs have on the body and pharmacology – not herbalism – became the order of the day. But the poor availability of drugs during World War I saw a resurgence of interest in herbal medicine. 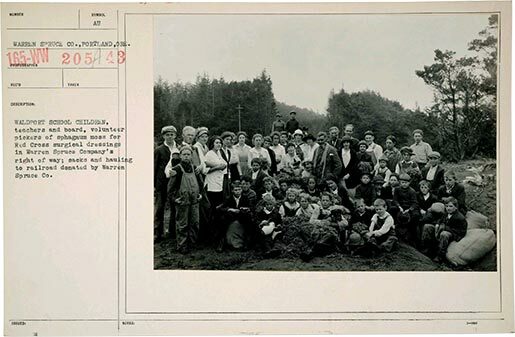 In Ireland, my great-grandmother Millie Clark organised the gathering and processing of sphagnum moss from peat bogs to use as a sterile dressing for wounds in military hospitals. She was awarded the MBE for this work. Modern pharmaceutical drugs were also in short supply in World War II and in 1941, the British Government appealed to the public to help grow and harvest wild craft herbs for the war effort. After the war, the increase in pharmaceutical production and the discovery of penicillin again transformed the practice of medicine. Herbal practitioners had their rights to dispense medications taken away and the practice of herbalism declined again. However, by the late 1950s, concern about the side effects of some pharmacological treatments led to a renewed interest in herbal remedies again. Herbal medicine associations were formed around the world, both to promote the use of herbal treatments and to ensure quality control. Claire Wood, a Wellington naturopath, is excited by the great resurgence of interest in herbal medicine over the past 20 years. “There are many herbal medicines that are just as effective now as they were 500 years ago. The difference is that in medieval times, people knew that plant remedies worked, but not why.